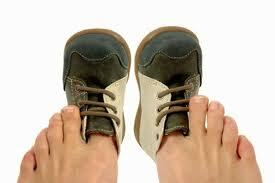 9 out of 10 women wear shoes that are too small for them! How many times have you been to the shoe store and thought the size 7 running shoe fit a little snug but refused to go up to a size 8 because that’s HUGE?! Well I used to do that too. I found out the hard way that my arch pain was being caused by my bad-fitting shoes and as soon as I made the switch, my foot pain disappeared too. Make sure your shoes fit properly! All shoes are made differently, especially if you’re switching to a different brand than you normally wear. If you’ve stopped wearing that bad pair of shoes that caused your foot pain, but you’re still not getting relief…then call Advanced Podiatry at 813-875-0555. Our doctors can determine why your pain is not getting better and give you the tools to prevent it from coming back! Did You Know the Average Woman Walks 3 Miles More Per Day Than the Average Male?